Meridian is primarily a health food distributer across the UK. Focusing mainly on a variety of healthy and organic nut butters. As I value good nutrition. I’m a great supporter of the brand and have been sponsored for the last few years as one of their main female brand ambassadors in the UK. They also do a variety of other organic health foods such as real fruit jams, olive oil and sauces for healthy meals to name just a few. No palm oil, No GMO but packed full of nature’s energy. 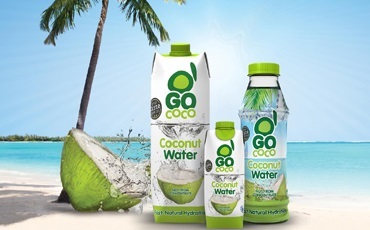 GoCoCo, Coconut Water... Let’s Go Co Co… Refreshing Coconut water. Since GoCoCo established, Ive been using the coconut water everyday in my super green drink as my base to help energise and fuel my day. Full of healthy enzymes, light and extremely refreshing I never miss a sip. Purition – 100% Natural nutrition. Low GI and Gluten Free protein in various flavours offering a unique range of specially formulated lifestyle products, to help you maintain a balanced diet and achieve goals naturally. Nourish Cleanse Energise with Puriton.